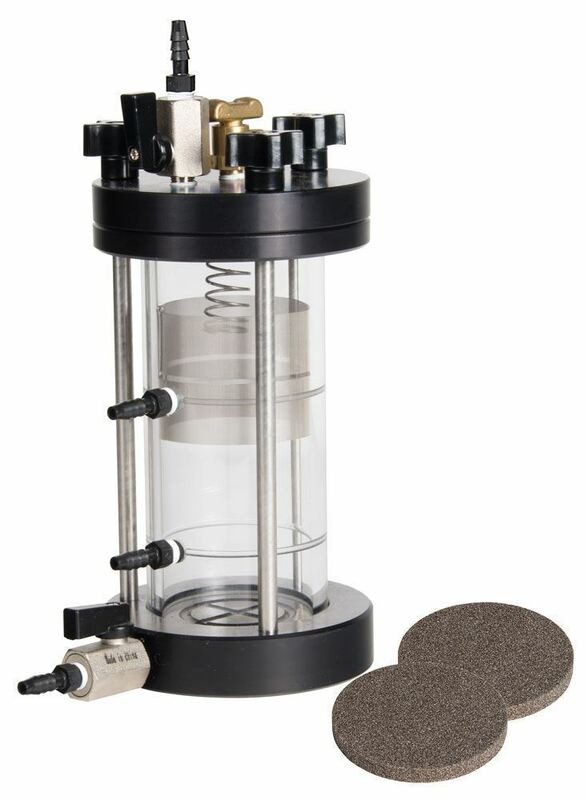 Constant Head Permeameter, Meets ASTM / AASHTO - Gilson Co.
ASTM/AASHTO Constant Head Permeameters determine permeability of granular soil samples by constant head method. 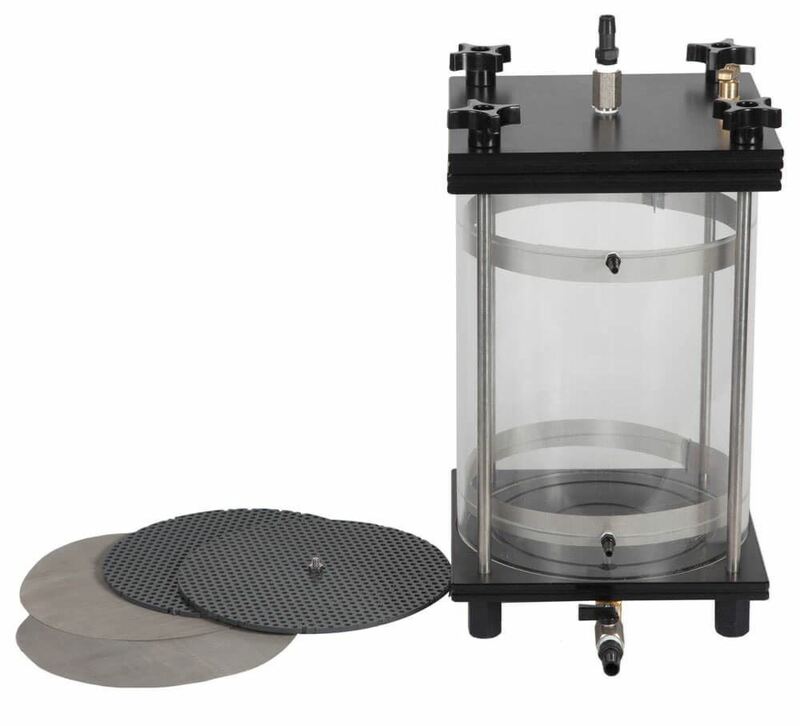 Models HM-831 to HM-835 come in sizes ranging from 2.5-9.0in (63.5-228.6mm) diameter to accommodate granular soil permeability testing of a wide range of particle top sizes. 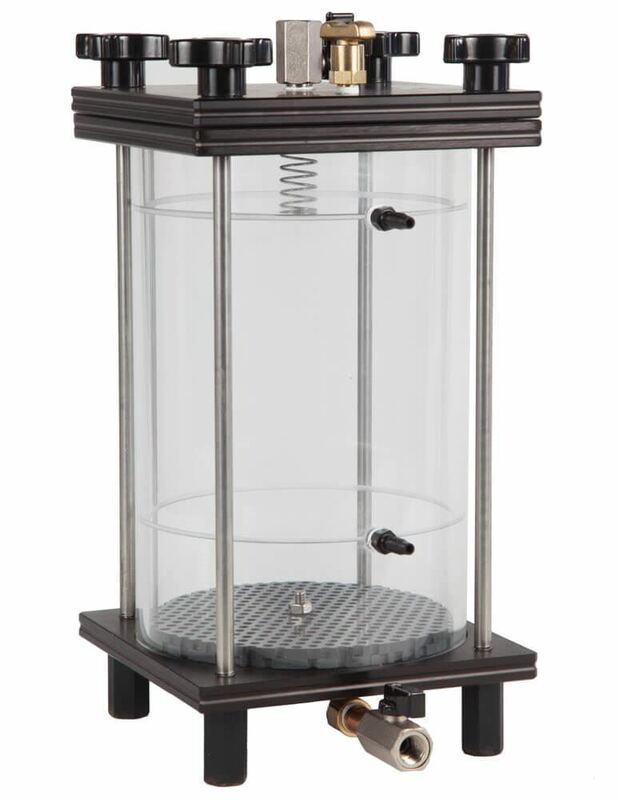 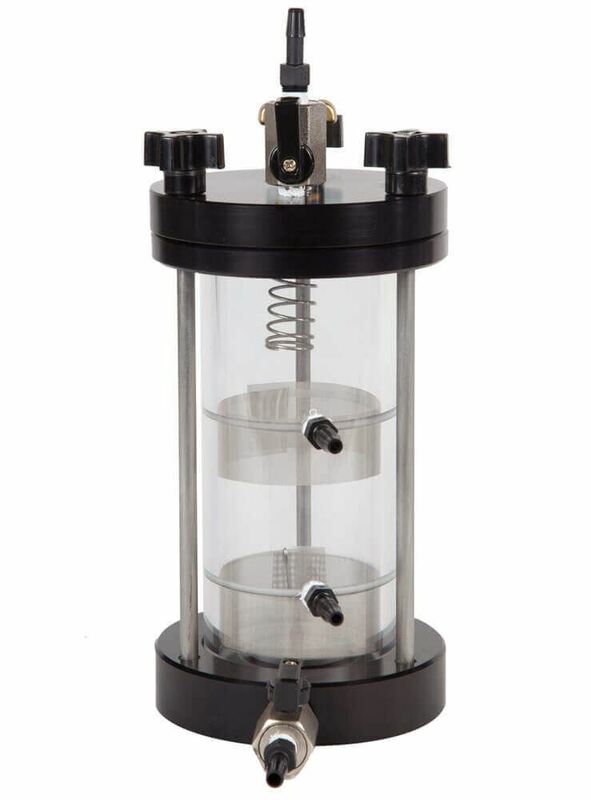 The permeameter’s clear acrylic sample chamber allows for easy viewing during testing. 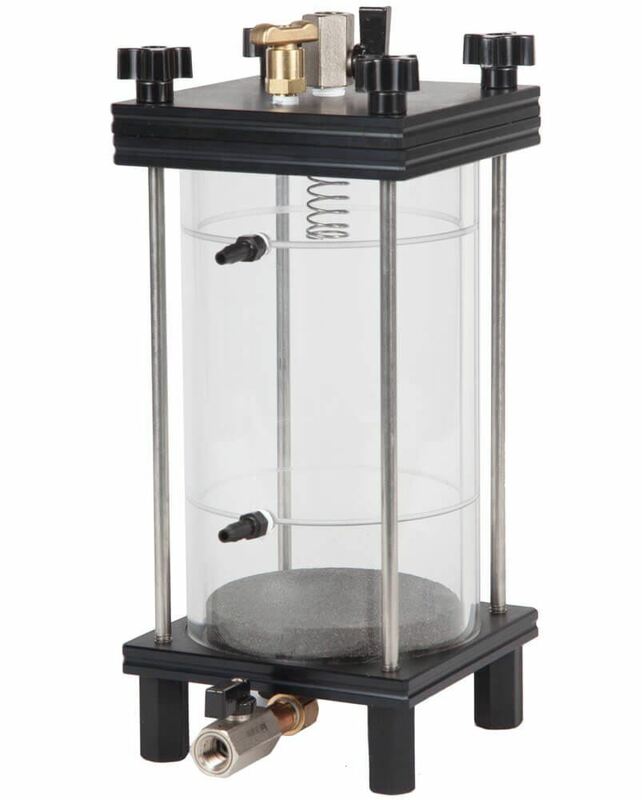 The Permeameters have two sidewall manometer ports covered with No. 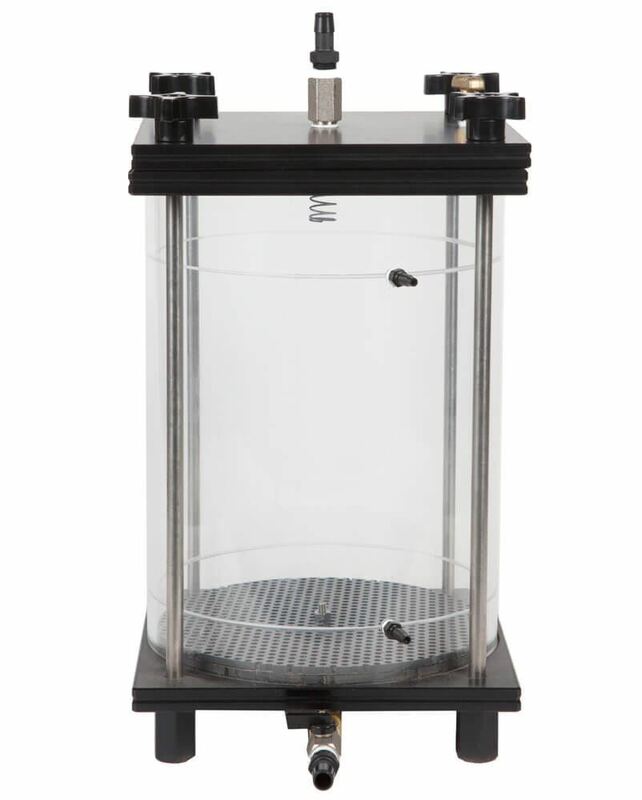 100 (150µm) brass mesh, and include a compression spring, anodized aluminum end caps with valves and ports, and tubing. 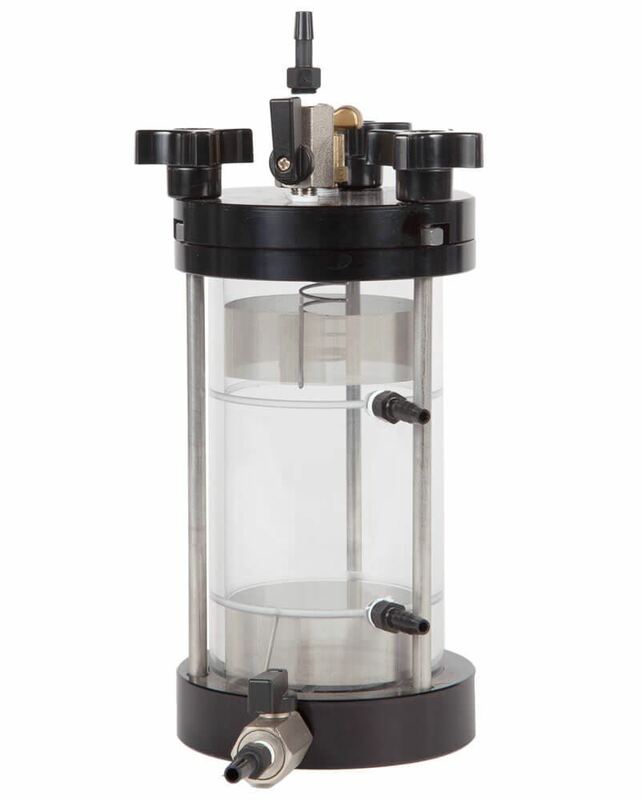 6.0 and 9.0in models include Porous Plates for use on top and bottom of the specimens, smaller sizes include Porous Stones. 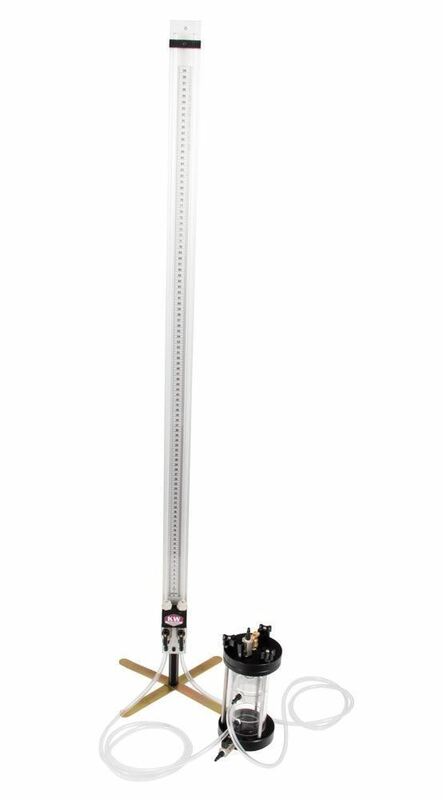 Either the HMA-838 Free-Standing Manometer or the HMA-839 Wall-Mounted Manometer is a required accessory for the ASTM/AASHTO Permeameters, and is sold separately.